Starbucks said it is spending US$1.3 billion to purchase the remaining 50% of its joint venture business in China — the single largest acquisition in the company’s history. The move means Starbucks will assume 100% ownership of about 1,300 stores in east China — spanning Shanghai and Jiangsu and Zhejiang provinces — in the country that represents the company’s fastest-growing market, in terms of store count, outside of the US, the company said. In December 2017, the coffee chain said Shanghai will also be the first city outside of the United States to open the premium Starbucks Reserve Roastery. 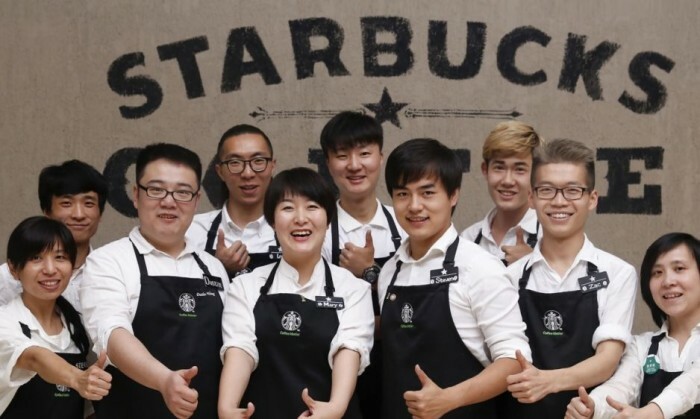 “Unifying the Starbucks business under a full company-operated structure in China, reinforces our commitment to the market and is a firm demonstration of our confidence in the current local leadership team as we aim to grow from 2,800 to more than 5,000 stores by 2021,” said Kevin Johnson, president and CEO of Starbucks Coffee Company. “Full ownership will give us the opportunity to fully leverage our robust business infrastructure to deliver an elevated coffee, in-store third place experience and digital innovation to our customers, and further strengthen the career development opportunities for our people,” said Belinda Wong, CEO of Starbucks China. Concurrently, Uni-President Enterprises Corporation and President Chain Store Corporation will acquire Starbucks 50% interest in President Starbucks Coffee Taiwan Limited (“Taiwan JV”) and assume 100% ownership of Starbucks operations in Taiwan for approximately US$175 million. Founded in 1997, the Taiwan JV currently operates approximately 410 Starbucks stores in Taiwan. “Similar to our decision in 2011 to fully license our Hong Kong and Macau market operations, we are pleased to transition our business in the Taiwan market to our long-time partners Uni-President Enterprises Corporation and President Chain Store Corporation, both highly-recognised local operators, as we continue to grow in Taiwan. This is a critical next-step as we advance our multifaceted China growth strategy for long-term profitable growth in Asia,” Johnson added. The announcement was made ahead of its quarterly profit release. Starbucks, which bought Teavana for US$620 million in 2012, said most stores will be closed by Spring 2018. It will continue selling Teavana branded products in its Starbucks stores.